Jellybeans. Conversations with Care. 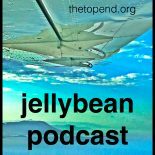 The Jellybeans started here and are now also hosted on lifeinthefastlane.com (The Original) & www.IntensiveCareNetwork.com This is the complete collection. Sometimes containing more controversial offerings. Dave Hartin is from Northern Ireland (pronounced “Norn Iron”) and from East Anglia too. (Funny accent squared.). Ipswich seems to have a bit going on. They arranged for a stall at the last SMACC to make people aware of this. Enough medicine already! Lets talk about the more serious matters, possibly the major diplomatic elephant in the room. They didn’t sort it out in the Good Friday Agreement. They pretended this problem wasn’t there when they handed out the Nobel Prizes. One of the most troubling problems since the troubles revolves around potatoes. There is a thing called Tayto. They are the best crisps in the world. Irish people need them to survive and have them shipped to every where an irish accent can be heard. I shall let Dave explain but it’s important that you know that there is a Northern Ireland Tayto from Tandragee and another Tayto from Ashbourne in the Republic of Ireland. Some conflicts are just too difficult to solve. Dave is from near Tandragee. Tandragee is not Ashbourne. It nearly comes to blows. And in the end we conclusively show that human doctors all seem to have caffeine issues and should probably not be trusted with fish. This entry was posted on August 14, 2017 by Dr Doug Lynch @TheTopEnd in Uncategorized.